We haven’t posted any offal lately, but could not resist sharing this with you. We got our whole steer not to long ago from our favorite local ranch, Date Creek Ranch. Always make sure that you eat grass-fed, and know where your meat is coming from. Why should you eat kidney? Kidney is a good source of Protein, Vitamin C and Zinc, and a great source of Vitamin A, Thiamin, Riboflavin, Niacin, Vitamin B6, Folate, Vitamin B12, Pantothenic Acid, Iron, Phosphorus, Copper and Selenium. The beef kidney has a very thick white cord connecting the various nodes of the organ. Ensure that you use a very well sharpened knife, I like a boning knife. Try to get all the white cording out, this is a time-consuming task, so know that going in and take your time with it, it’s actually really interesting. 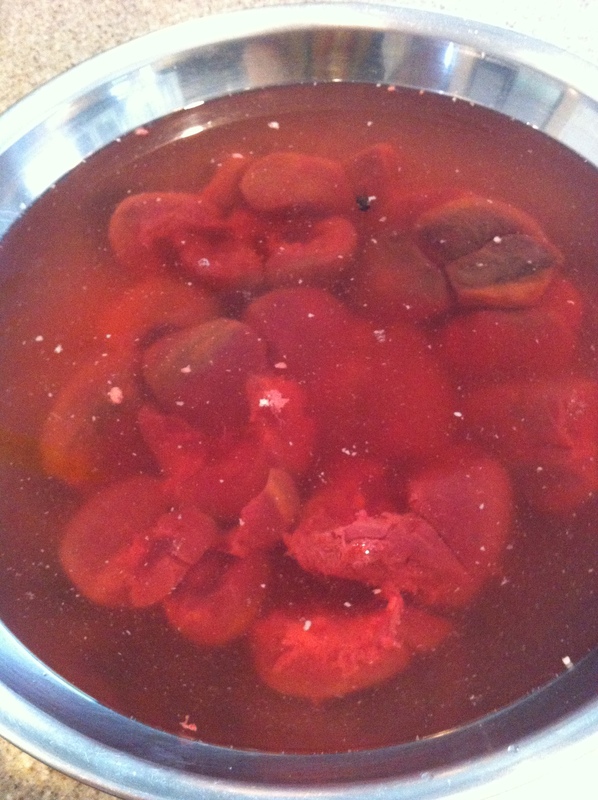 Next it is very important to soak the kidney in a bath of 1/3 vinegar (we use coconut vinegar) and 2/3 parts water. Soaking is important to ensure that there is no smell or taste of urine. If the kidney is not cleaned properly there is a chance that your dish might be ruined – IF you don’t soak for about 20 minutes. Rinse very well and set aside. In a large wok or saute pan, brown onions in 1/4 cup of coconut oil, once they are glossy add peppers and all other ingredients, except for the kidney – this goes in last, as kidney cooks as quickly as liver does. While your onions and veggies are sautéing on medium heat, begin to slice your kidney into thin slices. Once your veggies are caramel in color and beautifully glossy, add kidney and stir well, up your heat to almost high and cook for 2 – 4 minutes, only. Cook until you see almost no pink; it will continue to cook in the pan even after you turn off the stove. It’s crucial not to overcook your kidney. 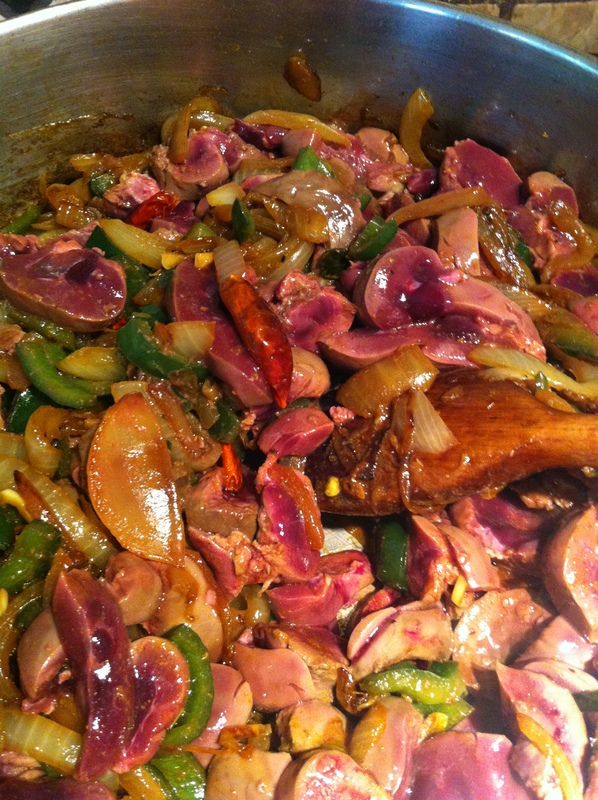 Beef Kidney! We served it with sweet potato hash. This seems like an awesome recipe. Always looking for things to do with organ meats. delicious! I made this today. But when I took out the cord, I rendered the fat out and used that for front. Sally Fallon said that’s real nutritious fat so I didn’t want to waste it. The kitchen did smell like pee, but the food didn’t! I substituted poblano and habaneros, but The real genius of the dish was the spices. I love using all the things that I rarely use in my spice cabinet. That is interesting, thanks for sharing. 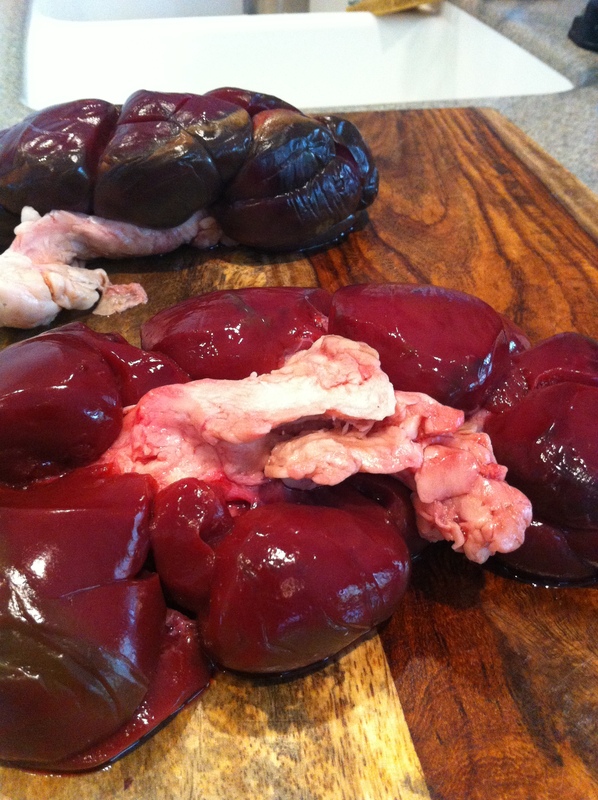 Every recipe I’ve seen says to cut out and discard the fat from inside the kidneys. I haven’t been able to find a reason why, but I think maybe it’s not the same as suet? From what I’ve read, suet is the fat that surrounds the outside of the kidneys, and I don’t think it’s usually sold with the kidneys. I don’t know why the fat inside the kidney ( which I think is what seems like a thick white cord?) isn’t usually recommended to be included … In any case, I’m still learning about organ meats! 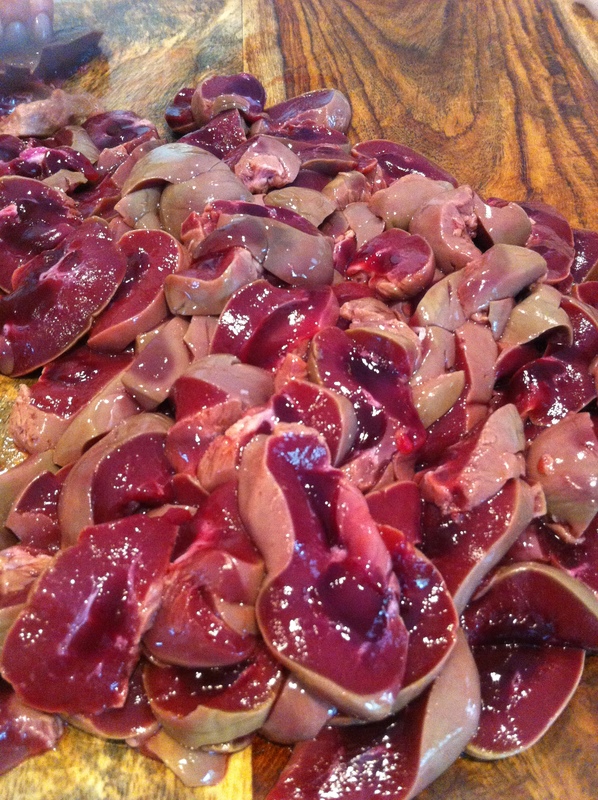 I just bought some beef kidneys, and I’ve never cooked them before. Glad to find the recipe and the discussion/tips below. Thanks! Thanks for your tips on preparing the kidney for cooking. I followed your directions, soaking the kidneys for at least an hour, and the results were very good. I used some alternative ingredients for the vegetables and seasonings, using an Argentinian chimichurri herb combination, which added a very nice flavour. Your directions were excellent! Thanks so much. 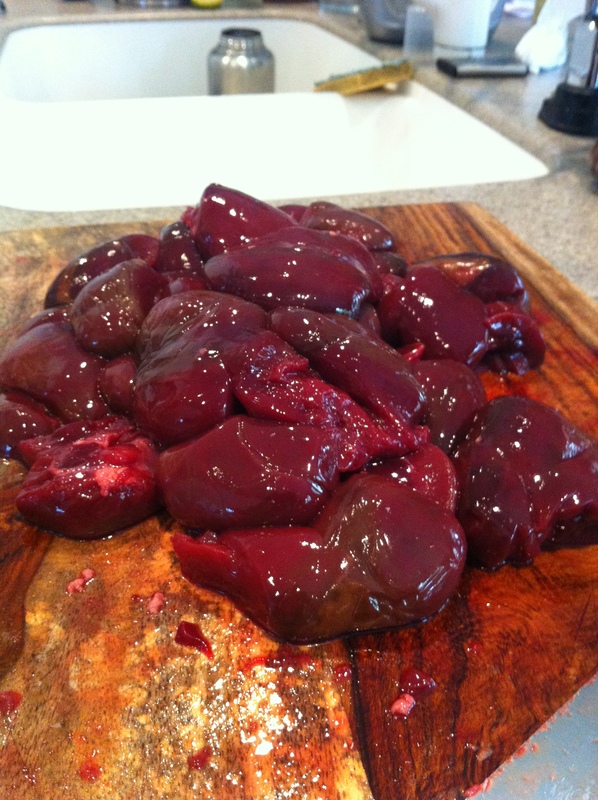 I cooked some kidney, and they taste like vinegar. I rinsed them well after soaking them. Is this supposed to happen? Maybe I soaked them too long? It may have been 3 hours instead of two. 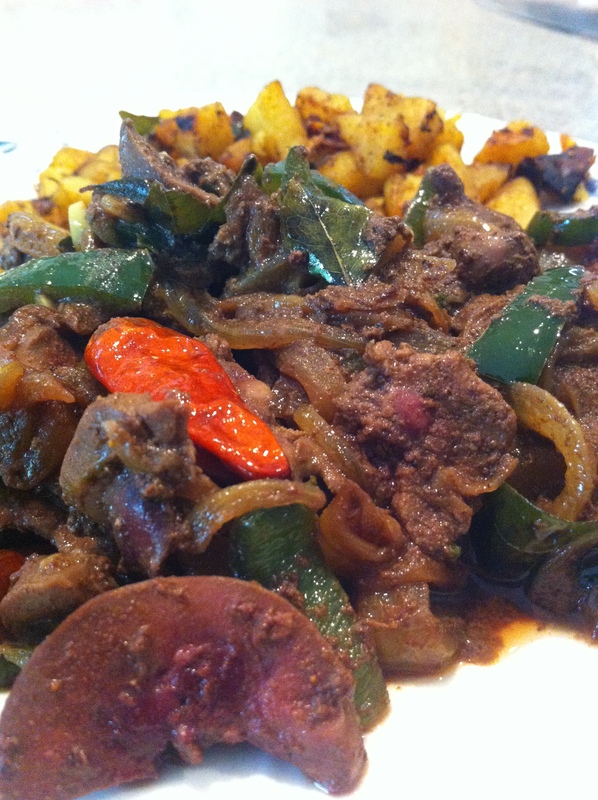 beef kidney, awesome! trimming a bit time consuming, but great I seldom follow slavishly any receipt, but guidelines with an unfamiliar cut are always helpful, your’s were excellent! Texture and flavor was excellent! Thank you. I am a diabetic who often wondered if because of diabetes i could eat organs. Thank you very much for the answer to my concern. I’ve read that you can use plain water, but I haven’t tried that. At the very least, I would add some baking soda to the water – about 1/8 to 1/4 tsp per quart of water.